Letting you all know that we will be closed September 26 and 27 but will be open Saturday and Sunday at regular hours. 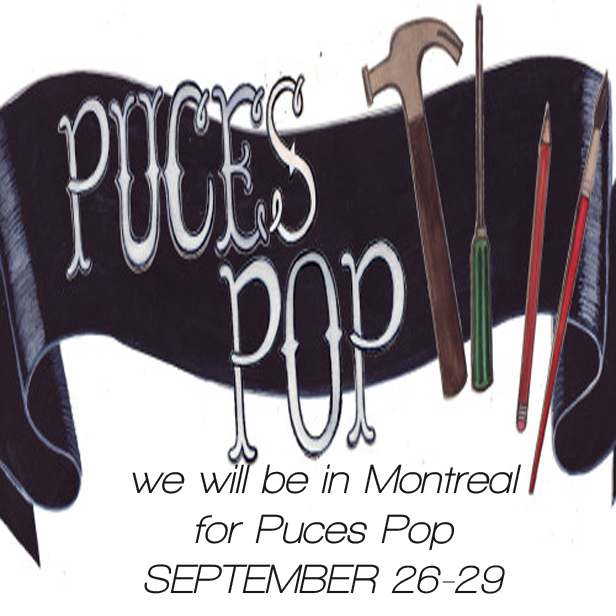 We will be participating in the fall edition of Puces Pop in Montreal Quebec. Thank you for your understanding and we will see you soon!